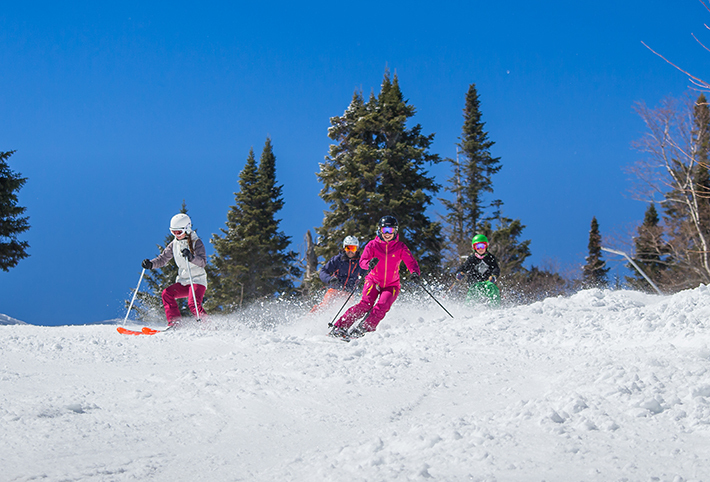 We’re extending the ski season! And kids ski free! Please note that some services will be limited, such as la Fourchette du Diable on the North side, which will be accessible only for the ticket counter and bathrooms. Dedicated skiers and snowboarders know that April is the ideal time to renew or buy an Unlimited Season Pass. At its lowest price all year, buy yours before May 26th, 2016 and receive free gifts, great perks and loads of discounts all next season. At $419, the Sublime Pass offers 118 days of skiing including 16 Saturdays and 17 Sundays, and the same goes for the T-66, good for 66 ski days for $319.